T-Mobile on Thursday announced a new incentive in which it hopes its own customers will work to woo subscribers away from Sprint, Verizon and AT&T. It’s using a valuable resource as a reward, too: data. 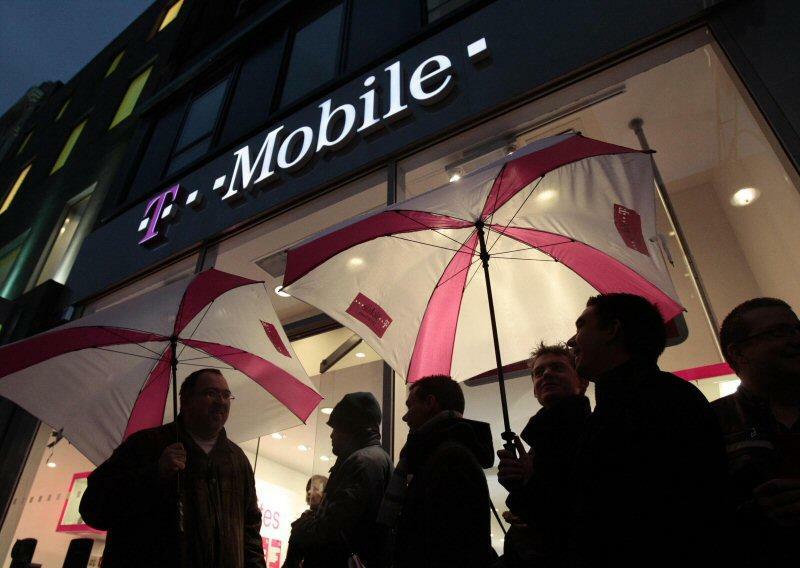 T-Mobile said that it will provide one year of “Unlimited 4G LTE data” to Simple Choice customers who refer a friend in addition to offering one year of unlimited 4G LTE data to the person who was referred. We spoke with T-Mobile to get the nitty gritty and we’re told this is how it works: if Joe Consumer has an existing 3GB Simple Choice plan that he currently pays $50 per month for, he’ll still pay $50 per month but for one year won’t be capped at 3GB of data if he refers a friend. Meanwhile, the friend can sign up for any Simple Choice plan and will then receive unlimited data for one year before the plan reverts back to the original cap. If you find yourself in the position of the referred friend, your best bet is probably to buy the cheapest $50 1GB unlimited text and minutes plan. You’ll get the 4G LTE data without caps for a single year and, after a year of noticing how much data you consume, can pick the plan that fits your data usage best. So what about T-Mobile’s existing referral plan, which provided $25 for each referral up to $250 per year? That still exists. You only get a single chance to refer someone for unlimited 4G LTE data. If you refer more people, you’ll get a $25 credit each time up to $250 per year. Also of note: you can’t refer people to your own plans. The referral option seems compelling enough, particularly if you’re trying to get some extra data. Just remember it’s only a one-year offer, so your cheaper bill and larger data bucket aren’t permanent.